Is water coming into your home? Then you could possibly have a leak – these have the potential to cause thousands of pounds worth of damage if not treated. At ProRoofing, we specialise in effective roof leak repair treatments for homes and commercial properties. 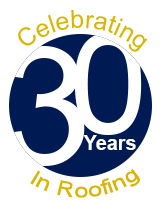 Our experience covers the last 30 years, and as such, we have the skills and knowledge to fix all types of leaks. A leaking roof will have disastrous consequences for your property if it is not repaired by the team at ProRoofing. With a wealth of experience in the industry, our team have the skills and expertise to fix all types of leaks no matter the scale of the problem. You can rest assured that our team will rectify any issues in your property. We have the tools and knowledge required to fix leaks that affect both commercial and residential roofs. 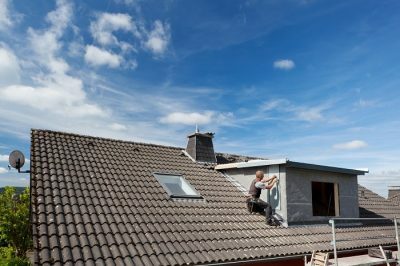 No job will be too big or small for the experts at ProRoofing, who have years of experience in the business and are the number one choice for roof repairs. Before we start work, it is imperative that our team carries out a full structural survey of your roof, so that we can see the full scale of the problem. In the majority of properties we visit, the roofing damage caused by leaks is on the whole fixable. Should our roof leak repair team discover structural damage or that regular patching is needed, we will recommend a new roof. Don’t worry; you won’t have to start searching for roofing companies as we provide this service as well. Don’t let your roof leak get worse when you can place a call to our team today and have your problem fixed soon. If you are worried that our team may not have the skills to deal with your roof, the best thing to do is to book a survey. You will be pleased to know that we have experience in working on heritage properties such as those from Georgian, Victorian and Edwardian eras. Can’t spot what you need? Do call our team today on 01202 518763 for further details on our service. There are many companies that offer a roof leak repair service, but choosing the best company is the real challenge. Luckily, you won’t have to look far now that you are on the ProRoofing website since we have the experience and skills to fix all types of leaks. A huge advantage of choosing our company is that we supply 10 year guarantees on our work, though we advise you to check with our team for full details of this. All staff at ProRoofing are qualified individuals with the skills and background to repair roof leaks and install new roofs for our clients. The diversity of our roofing team means we have decades of combined experience in all aspects of the industry. Our ProRoofing branch has been established for over 30 years. In addition to checking the qualifications of our team, we carefully select individuals based on their character and their determination to offer you our customers the best possible service. All members of staff have been DBS checked, and are suitable for working in sensitive installations should this be required. At ProRoofing, we work hard to adhere to all health and safety standards within the industry. Regardless of your project size, the team will do their best to make sure that all work is completed safely and on time. All quotations will be bespoke to you and the scale of your roof leak problem. Don’t let your roof leak repair worsen. We are only one phone call from fixing your roof today – dial 01202 518763.